The UC Irvine School of Education promotes an interdisciplinary approach to the study of education, drawing upon faculty expertise in the fields of education, psychology, sociology, economics, political science, technology, the arts, and the sciences. Students are admitted to UCI once a year for enrollment beginning the following September. Applications are reviewed holistically and in stages by admission committees. Committee members consider an applicant's academic preparation, potential to succeed in the chosen field, match with the program goals, availability of faculty expertise, quality of supplementary materials, and personal story. An in-person, Skype, or telephone interview may be part of the process. The School of Education welcomes diverse learners, innovative thinkers, returning students, dreamers, and others who want to make a difference in our world. We look forward to your application. Why UCI School of Education? Outstanding graduate students from around the globe are coming to UC Irvine to discover new gateways to academic, research, leadership and character excellence. 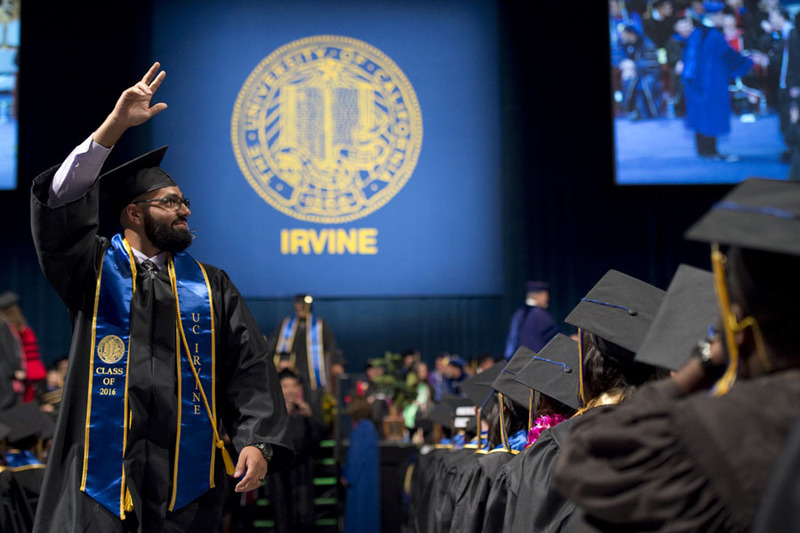 Situated in Irvine, the safest city in the US, UCI is the youngest member of the Association of American Universities, the 61 premier research institutions in North America. Identified by Times Higher Education as first in the U.S. and fourth in the world among the best universities under fifty years old, UCI School of Education also ranks 25th among Graduate Schools of Education according to US News & World Report. With the international backgrounds of our faculty, and our diverse U.S. student population, we have a dynamic multicultural research and educational environment that is unparalleled.